Historical Broughton Hall was built in 1860 for a prominent Liverpool merchant and converted into Broughton Hall High School in 1928. 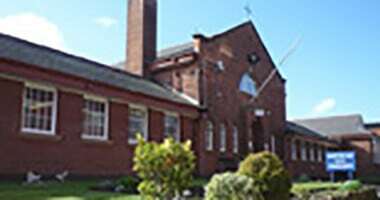 It is a 1,300-pupil Catholic secondary school located in West Derby, Liverpool. As part of the Building Schools for the Future scheme, Broughton Hall has begun a £21 million project to refurbish the school with state-of-the-art facilities including a new sports hall, music and drama suites, flexible learning centres, university quality science labs and a purpose built sixth form centre. The project includes a complete upgrade to the retained buildings. As part of the improvement project it was deemed necessary to install air conditioning systems in several areas of the school to provide optimum levels of comfort conditions for learning, thus aligning with one of the school’s key objectives of providing an excellent educational environment for pupils. The project also included systems within staff areas, therefore due to the varying air conditioning requirements across the school, and installation taking place during term time, careful design and scheduling of the works was essential. Kimpton Energy Solutions responded by advising upon appropriate solutions for the different areas of the school. They then installed Ceiling Suspended Systems in the Food Technology Rooms and Wall Mounted Systems in the IT Office and Reprographics Room within a meticulous schedule that ensured there was no disruption to the day-to-day pupil education. This was achieved by working within corridors prior to pupil arrival, swapping between classrooms and other areas as required by the timetable, and installing systems within specified time frames. “The installation will improve the comfort conditions in several areas of the school servicing both pupils and staff. We are very experienced in undertaking projects in these conditions were flexibility and careful scheduling is key and this was crucial to our appointment on this contract”.